Many driving gloves for women are simply men's gloves in smaller sizes, but that's not the case with these beautiful imported gloves from Fratelli Orsini. Machine-stitched from the finest Italian lambskin, they have been styled and cut to perfectly fit a lady's hand. 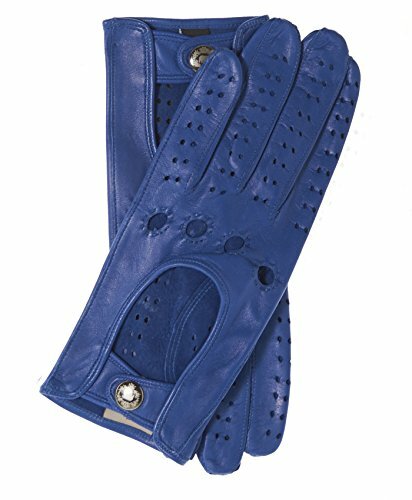 Along with the careful construction you expect from artisan glovemakers, they feature all of the details of a classic Italian leather driving glove, including an open back with a snap closure, knuckle holes for flexibility, and finger vents to keep your hands cool and dry. Made in Italy by Fratelli Orsini. SIZING HINT: These gloves run true to size.